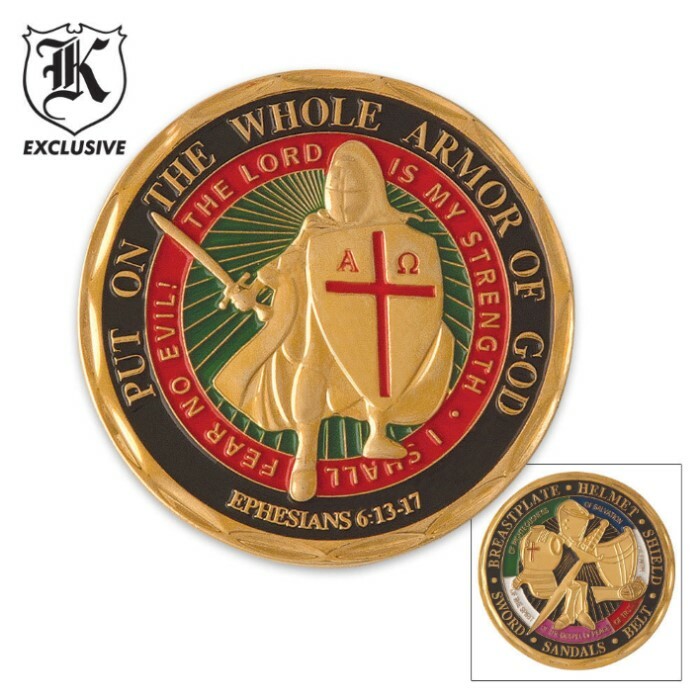 This collector's coin is perfect for military personnel or those who are warriors of their faith. 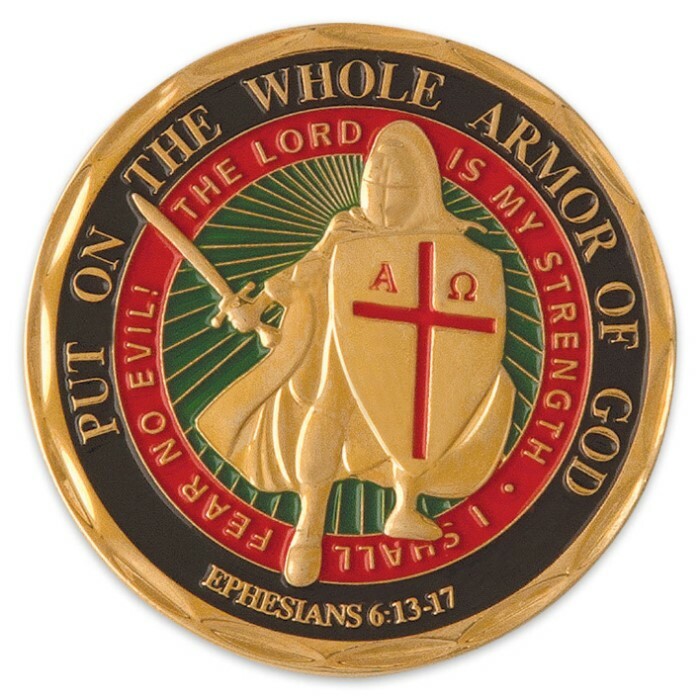 Carry this coin as a constant reminder. 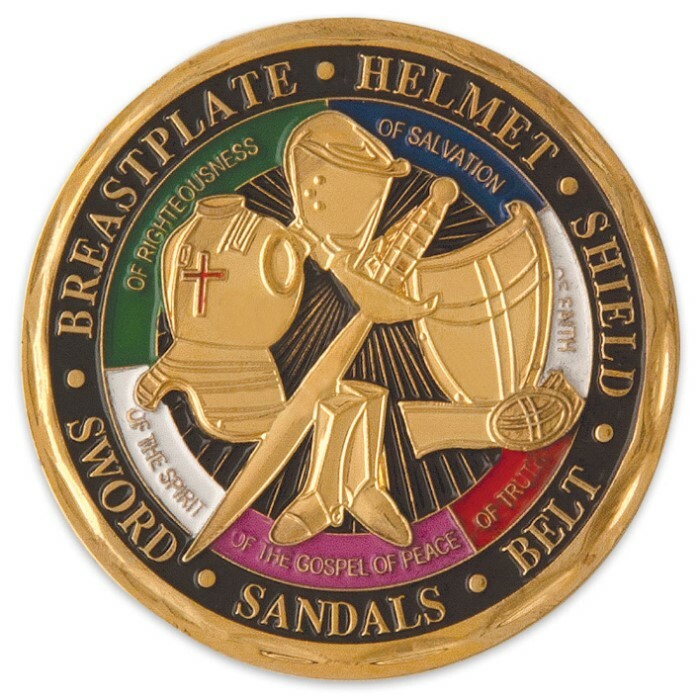 This gold-plated bronze coin shows a warrior of God on the front, while the reverse side features a 3D relief of the six spiritual armor components. 1 1/2 in. diameter.